No other Limerick Driving Schools offer free material like ours. With our free home study support material you'll be prepared for every lesson and develop faster as a driver than with any other driving school. Lessons come and go fast and it is easy to forget what you have learned. Our extra lesson material means you can follow up on what was covered before the next lesson ensuring you don't waste time and money going over the same things. When we were in school we all had our favorite teachers, the ones that engaged us and made learning fun. And we remember the lousy teachers that had no business teaching anyone. Not all teachers are made equal and that is certainly no less real with driving instructors. It is easy to Google 'Driving Lessons Limerick' and find driving instructors near you but which can you trust to best teach you. Knowledge and professionalism is what you need from a driving instructor. A driving school that gets pupils past the test. 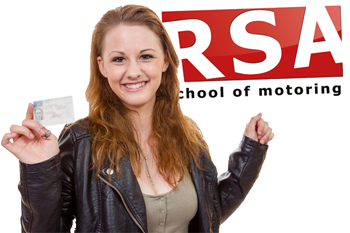 We have helped countless learners pass the driving test so before you continue your search we encourage you to consider RSA School of Motoring for your driver training in Limerick. Let us show you why. You may not know but many years ago Ireland had one of the worst road accident records in Europe. In an effort to control these statistics the Road Safety Authority introduced a new and compulsory training initiative for new drivers. The Essential Driver Training or EDT. In an effort to reduce accidents and fill the evident driving skills gap that many new road users were lacking, the 12 lesson syllabus was created. There is learning the vital driving skills and developing your knowledge of road signs and road safety. Then you must master the conditions of the driving test and understand what to expect. The test is your chance to show that you are safe enough to drive unaccompanied. Like any exam you have ever had to sit, 80% of passing the driving test is achieved long before the day of the test with correct preparation. Check out pretest packages in Limerick here... or call us now to book your pretest package. You guessed it! 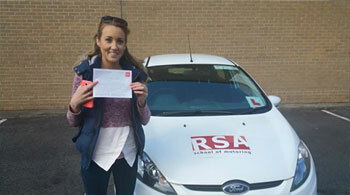 We have female driving instructors all over Limerick. Don’t believe the myth about female drivers. Book your lessons with one of our lady instructors and find out why they are some of the best instructors in Limerick. We want your driving lessons to be convenient and easy to do. That is why our driving instructors will pick you up and drop you off from your chosen Limerick locations*, be it work, home or college.